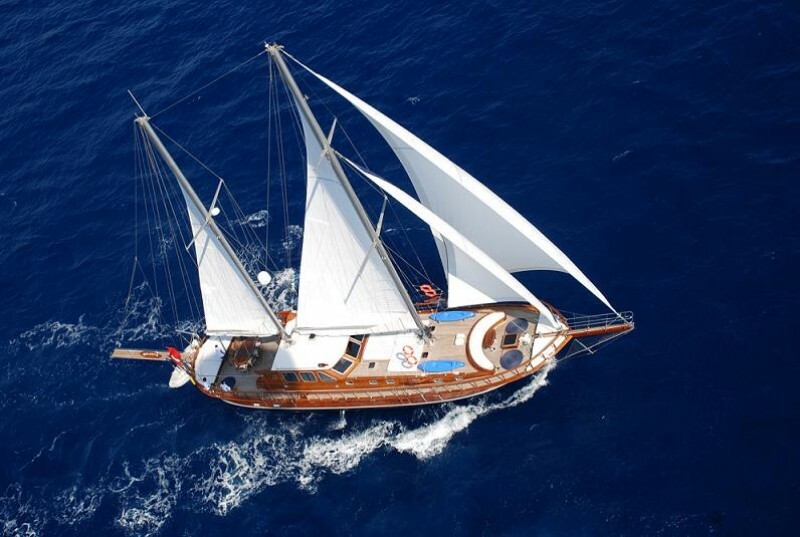 The elegant Luxury gulet charter greets the charter guests with a finely crafted true classic gulet which embodies the best traditions of wooden Turkish gulets combined with the finest of modern technology, safety and interior design details. 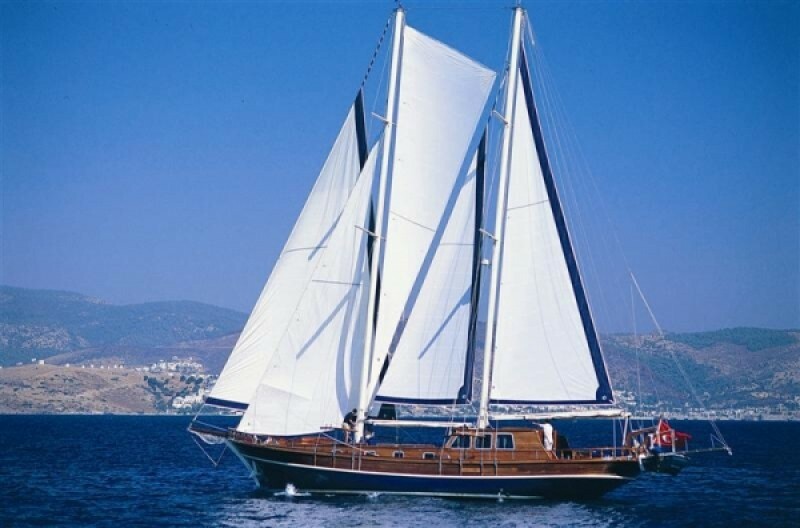 As a yacht rental in Turkey she gives a sumptuously satisfying cruise holiday offering an elegant, comfortable and spacious master cabin, plus a mix of twin and double bed cabins. Each cabins have its own deluxe bathroom with hydro shower cabin, while the master cabin has a separate toilet and washbasin alcove apart from the shower and washbasin bathroom. Spoil yourself and your group with those little luxurious touches that make a superb holiday. 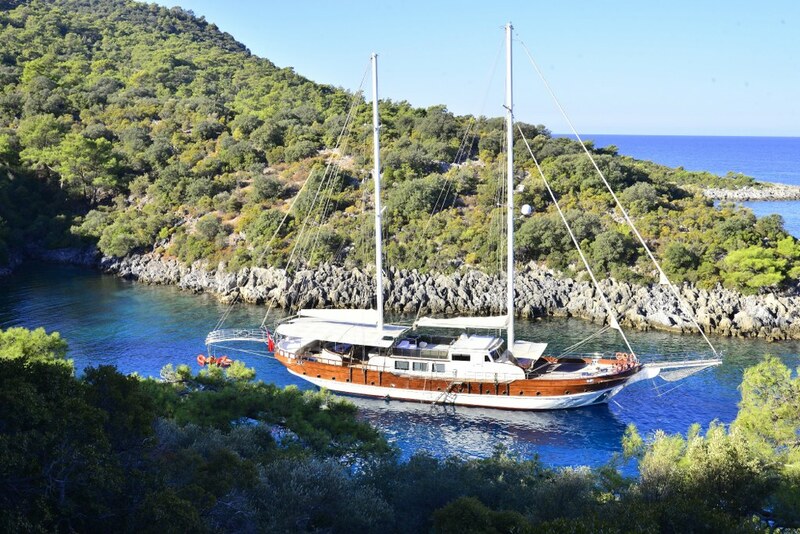 Choose a gulet with extra space and facilities that offer every comfort of home and more, while the crew can serve special meals and make an occasion of drinks on the deck. Excursions ashore cater for the adventurous or the shoppers, while relaxing together make an unforgettable holiday. 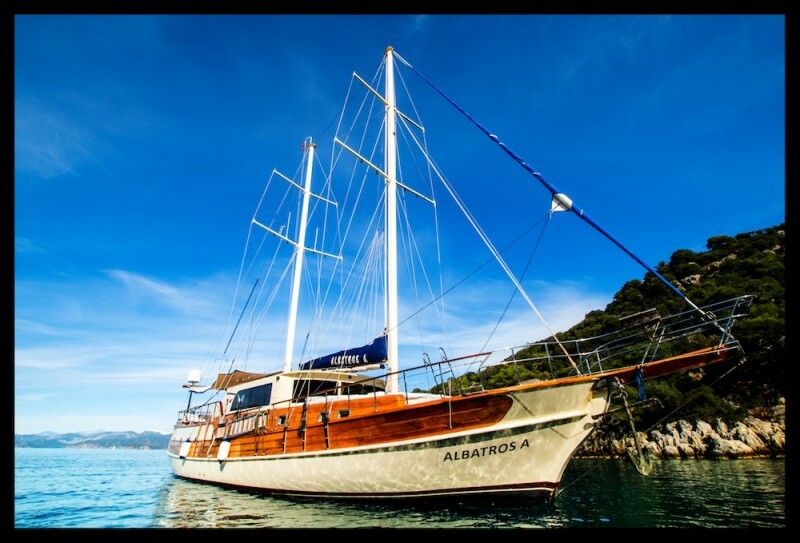 The captain, chef, deckhand and other crew members, who have their own quarters, look after everything on board plus make sure that the active group of guests on this gorgeous luxury gulet; enjoy the canoe, water ski and ringo water toys available, or others on request for use while moored in the coves of the beautiful Mediterranean coastline. Guletbookers cannot speak too highly of the level of satisfaction with the quality of service that guests enjoy on this immaculately luxury gulets. 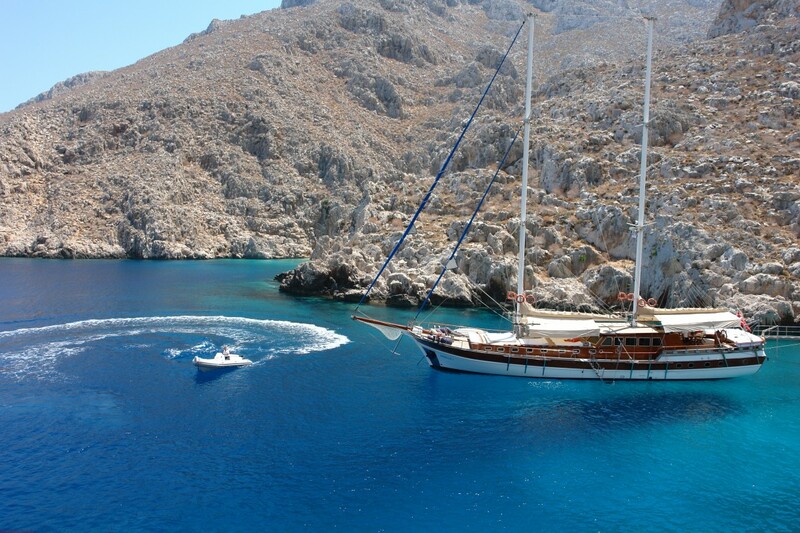 If you are searching for a Luxury gulet charter you have come to the right place we will exceed your expectations in every way as we have been welcoming the exclusive clients from all over the world. 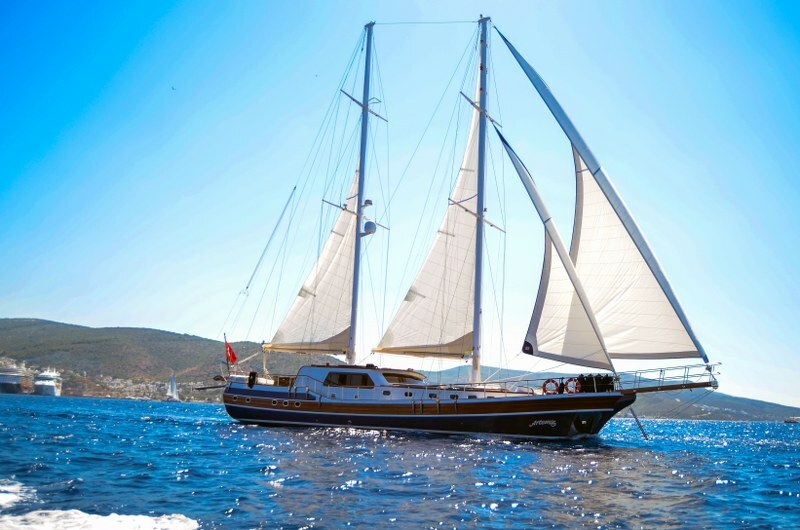 Let Us Customize a Private Gulet Charter Just For You!